I came across these tops last week during an eBay search and fell in love with them instantly, i couldn't decide on just one colour so i thought I'd do a whole post about them! 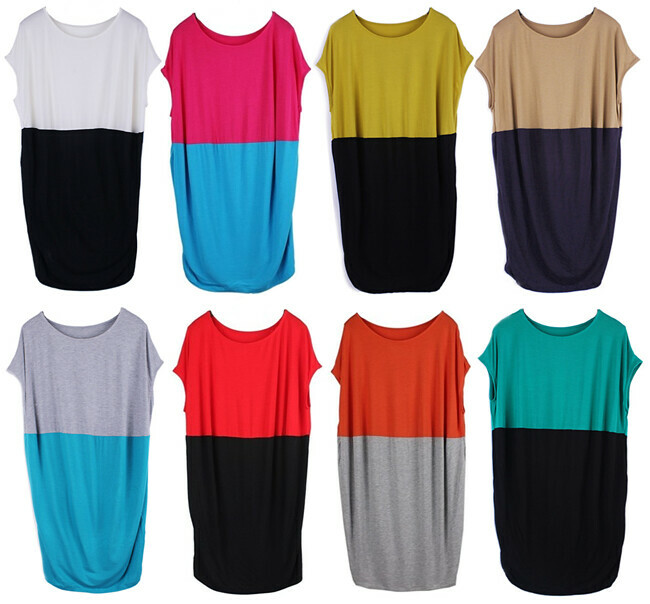 I think tops like this are perfect for every day wear, with leggings, tucked in to skirts or just simply on their own. They can be easily dressed up or down and at only £11.80 i think they're a massive bargain! Do you like these tops? How would you style them up? Gorgeous, block colours can be so flattering! these are super easy, effortless tops to just tuck into some great leggings, agreed! I love the black and white one (I'm so boring haha!) These look like a brilliant staple piece, definite bargain!